This thread illustrates 2 topics. 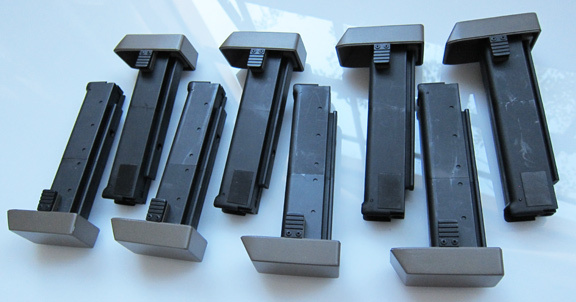 Currently these mags hold 93 rounds, going to try to shorten the spring to hold 95. 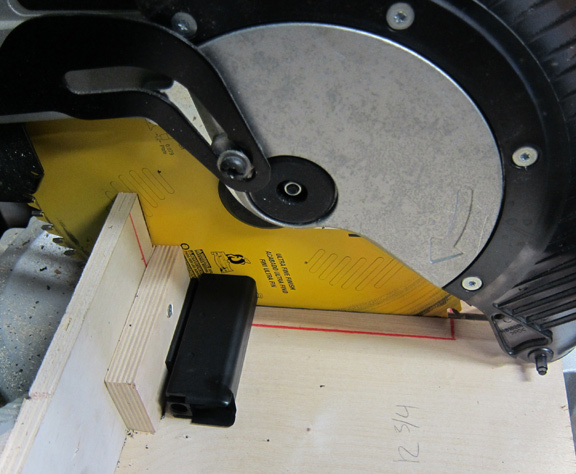 I set up zero clearance insert on my miter saw. Cuts the mags square and very clean. 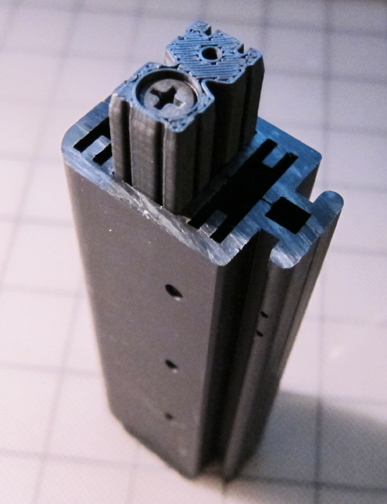 This securely holds the cut-down mag together. Make sure there are no burred edges inside the bb channels. 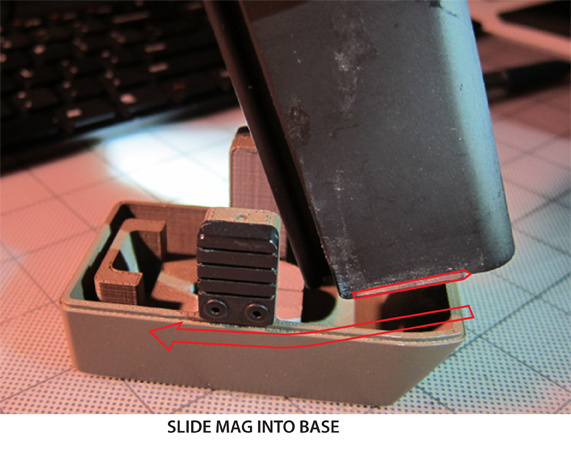 Step 8: Slide into Midcap mag base. Step 9: Glue on Mag tabs. Last edited by Noble on Tue Sep 20, 2016 3:35 am, edited 8 times in total. 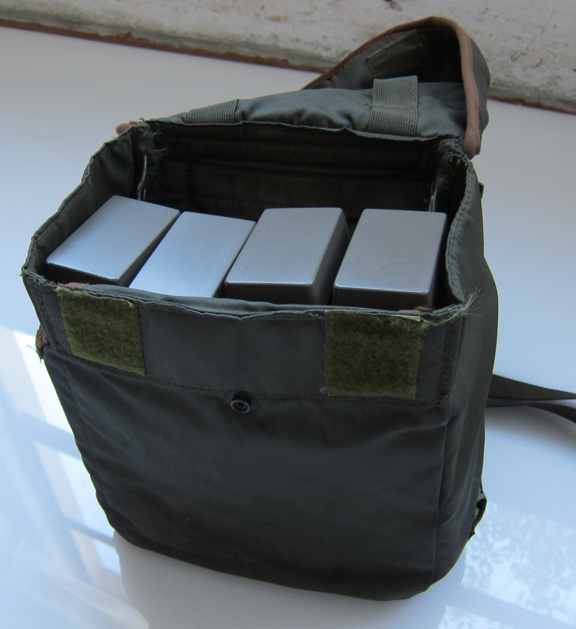 Post subject: Re: 8 midcaps with about 93 rounds each. That's not so good. Most excellent. I'm looking forward to seeing if you can squeeze an extra 1 or 2 rounds out of it. "I'm just an old city cowboy trying not to fall out of his saddle." Are the KA midcaps fully compatible with the SnowWolf Pulse rifle? Unfortunately its a plastic magazine that goes into a plastic feed ramp. 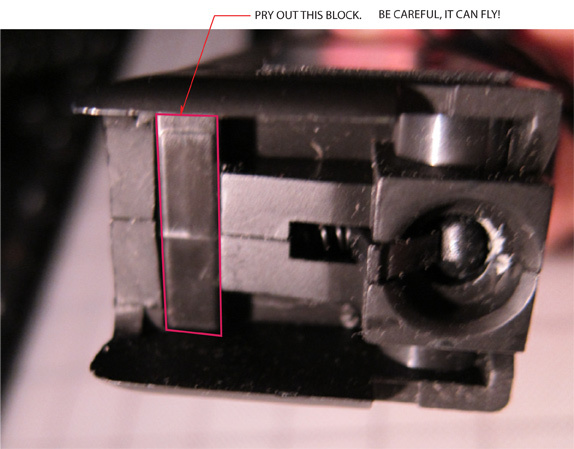 There will be inconsistencies in the molding process but you can solve them with some sanding...or get lucky on "looser" feeding ramps in the Thompson lower receiver. But they are compatible. Mine are a tight fit in the Snow Wolf. I've also had two CYMAs, one was also a tight fit, the other wasn't. I have a G+P Kit PR, so it works really good. Good suggestion above, I would slightly bevel the edges on the mag to assist. Will post a pict later to show the edges to adjust. many thanks for all two! I tried to check what parts are the problem but I did not find it (without opening the rifle case...). The mag base you posted are very very accurate!. "Errr... Roger that's a 2-1-6..."
where did you get the mag butts? A little solidworks, 3d printer, steel pins, and paint. 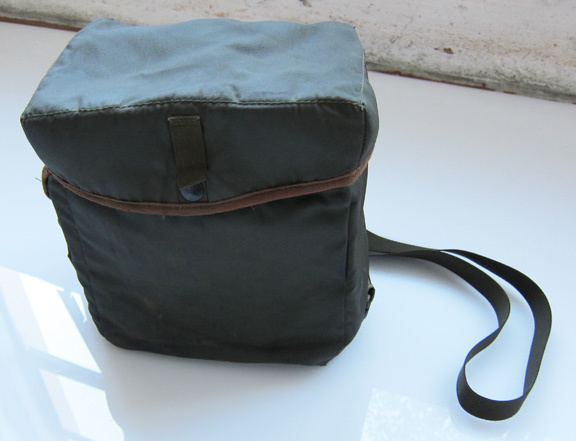 It all started many years ago with the G+P kit. 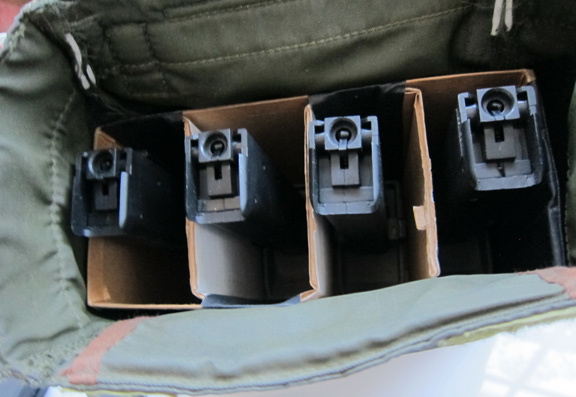 Are this mag-butts compatible more or less with the Matrix/Snow Wolf PR and KA mags? I have made various mag bottoms + insert kits over the years to fit marui/clone mags, matrix mags, and the newest KA midcap. ¡Yes!, that is. I 'dremelled' it and appears to fit better. Then, I sanded the hole it connects to hopup. I get a better fit with it. Umm, can I send you a PM to make particular business-order? If only the Marines in the movie had carried this much ammo! 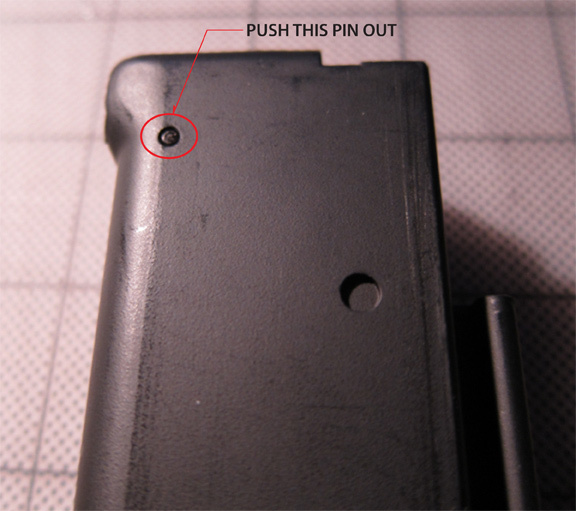 I had to do that with my KA mag as well, elongate the hole. Snapped in real easy after that. Last edited by Noble on Tue Sep 13, 2016 5:49 pm, edited 1 time in total. They are easy to come by.